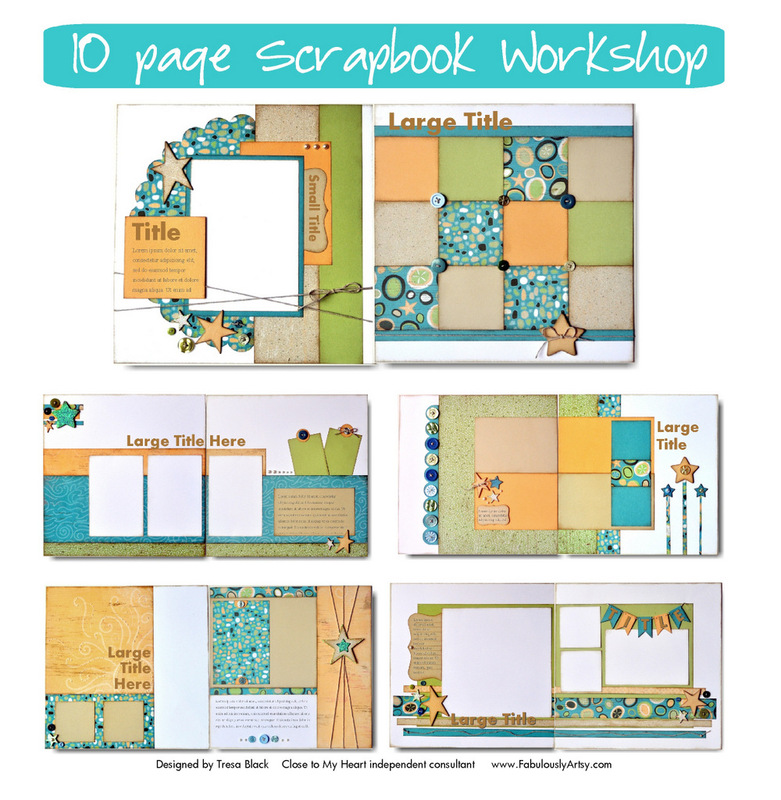 Stamping, scrapping, and paper crafting! This particular project is a diagonal double pocket card that I made using a sheet from the Stella paper pack. 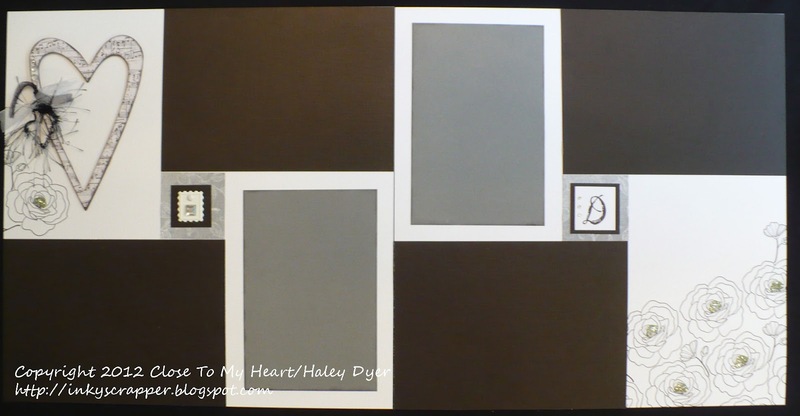 (If you'd like to learn how to make your own diagonal double pocket card, click HERE for a great tutorial.) 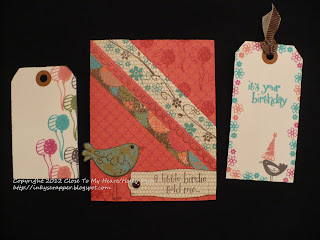 I had a blast stamping on the card with Tulip, Cocoa, Lagoon, and Sunset inks. I paper pieced the bird (stamping her once in Cocoa on the card itself so you could see her beak and legs, and then again on a piece of that pretty patterned Stella paper, which I then cut out and adhered over the original). The sentiment was stamped on a piece that I cut with the Cricut Art Philosophy cartridge. The two tags are the only non-CTMH parts of this project. They're just regular old office supply tags (but you could easily cut your own or use the Cricut to make them); I just have a bunch on hand. Thanks for flapping by! Please leave me a little tweet, and then fly on over to see Teresa's creations next. 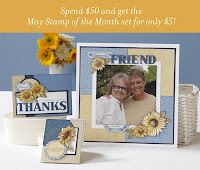 Tomorrow is your last chance to get the fun and funky Dotty for You paper pack and/or the May stamp of the month, Friendship Bouquet. Please visit my website to purchase yours before you run out of time! 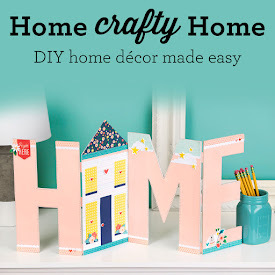 You can also find links to some great project ideas and how-to videos there! 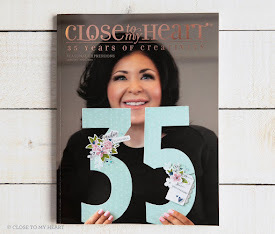 If you're not already receiving my Close To My Heart newsletter (or another consultant's), please be sure to email me to sign up. (I promise not to spam you or sell/give away your personal info!!) Drop me an email at inkyscrapper@gmail.com. 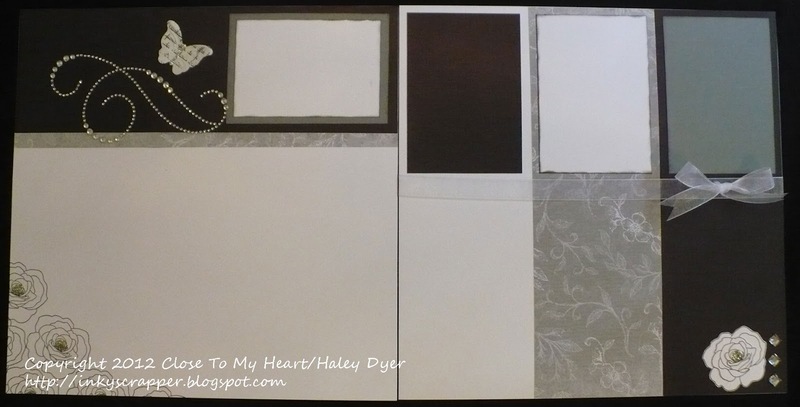 On June 10, we will be creating this beautiful layout and a companion 12"x12" page. I have limited seating still available, so email me today to reserve your spot! Can't attend? 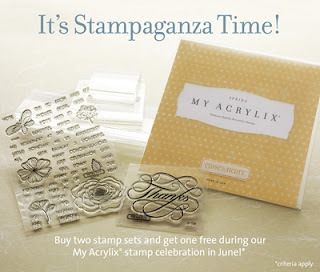 You can purchase a kit that will have all the pieces precut/prestamped and ready for you to assemble (with complete instructions). 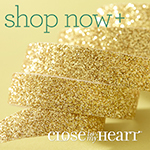 (The $15 fee includes all materials and shipping directly to you.) Just click the Paypal button below. In the text field, please let me know whether you want to use the word "Family" or your family name (please spell it for me). Kits will ship starting 6/11 and must be purchased by 6/8. I wanted to make a patriotic banner to display in my home this summer. I started with three leftover pieces from a My Creations Banner. 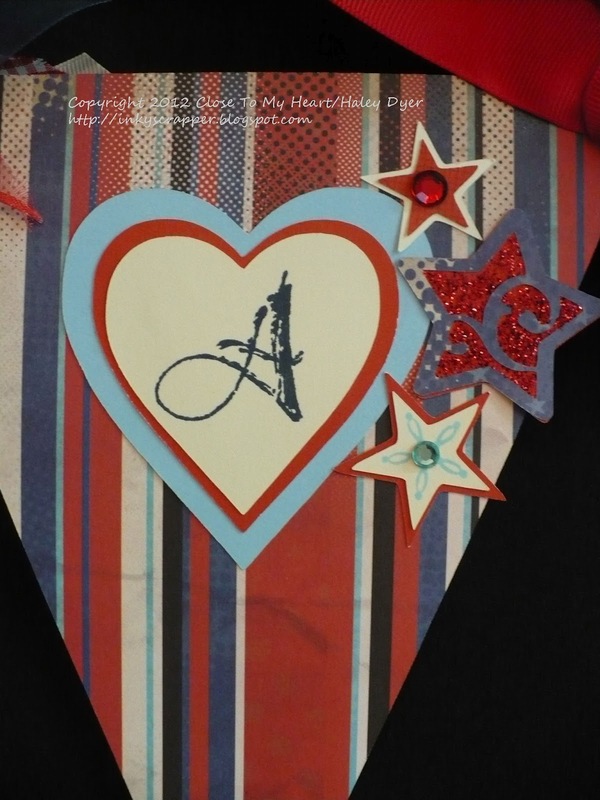 I used the Superhero paper and used the Cricut to cut the triangles (I believe at 7") and ALL the shapes you see here. Red and blue Sparkles were fun to use to decorate various stars. A toothpick is a great tool to spread around the red Glitz Glitz Gel! All the ribbon is all CTMH (except the large red ones on the end, which is upcycled from a birthday present), but most of it is retired. It was fun to use up my stash. 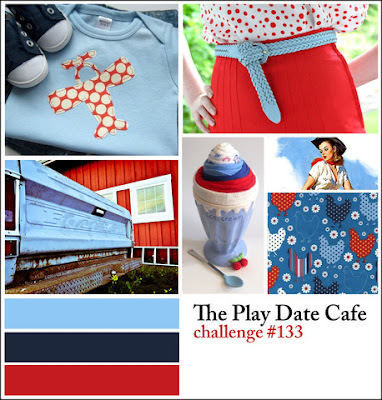 The current Play Date Color Cafe color story PDCC133 came at the perfect time for my patriotic project! 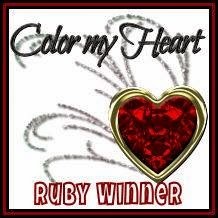 The corresponding CTMH colors that I used are Sky, Outdoor Denim, and Cranberry. 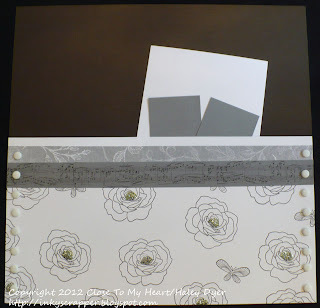 To continue on the CTMH/Cricut blog hop, head to Alice's blog after leaving me a comment. Happy Memorial Day weekend! Please remember the servicemen and women who have fought for our country to preserve the freedoms we enjoy today. God bless America! Today is the last day of school! Every year, I have a hard time believing that the end is really here. This year is particularly bittersweet. I've had a great class, and I'll hate to see them go! Also, our school system cut ALL teacher workdays (and of course our pay), so we are trying to get everything done before the kids leave because today is our last day too. You would not believe the amount of work that goes on "behind the scenes" to wrap up a school year! I am pleased to report that both girls have had really good years. I am in a total state of disbelief (and shock?) that our big girl will start high school in a few short months while her little sister will start at the middle school. Not having one of my girls at my school (practically next door this year) is going to be really hard on this momma for sure. We made sure to make thank you cards to show our appreciation to our teachers for a great year. Because I had eight to make, I kept them fairly simple. The girls wrote their own messages of gratitude on the inside. The card for the academic teachers includes a panel from an old children's novel that had seen much better days. (I promise it was already falling apart. No books were harmed in the making of these cards!) 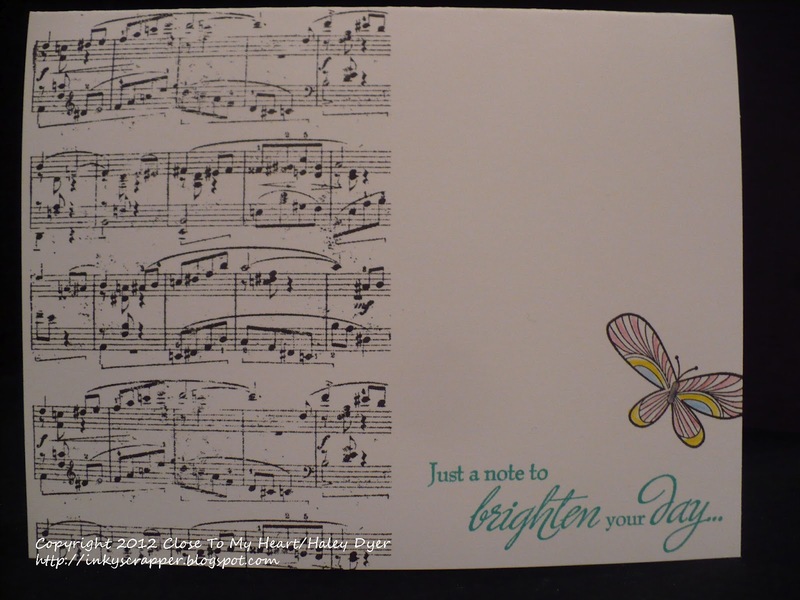 The two music teachers' cards feature the music stamp from the Universal Backgrounds stamp set. Thanks for looking! Now let summer officially begin! To distress the Chocolate panel, I pulled out my trusty scissors and ran them along the edge to expose the white core. Finally, I used a sponge to color the sunflower quickly with Honey ink. 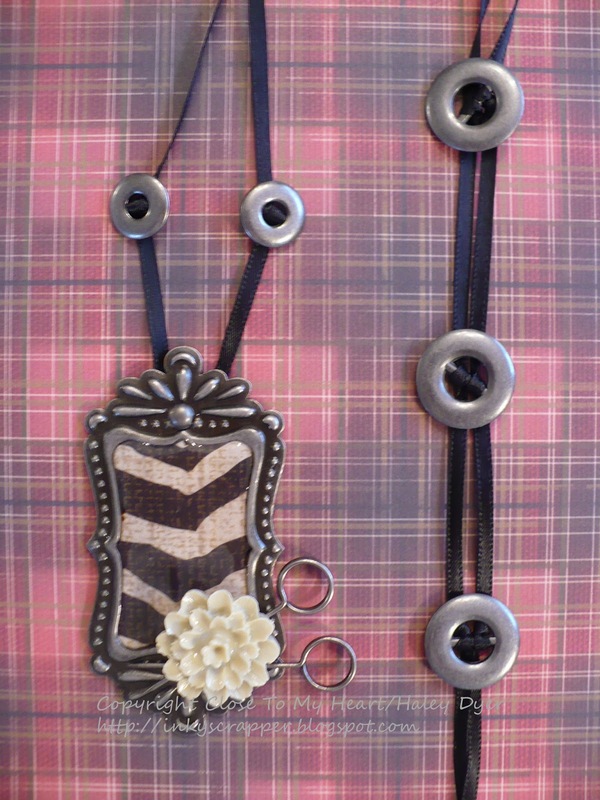 A sponge is another great distressing tool! 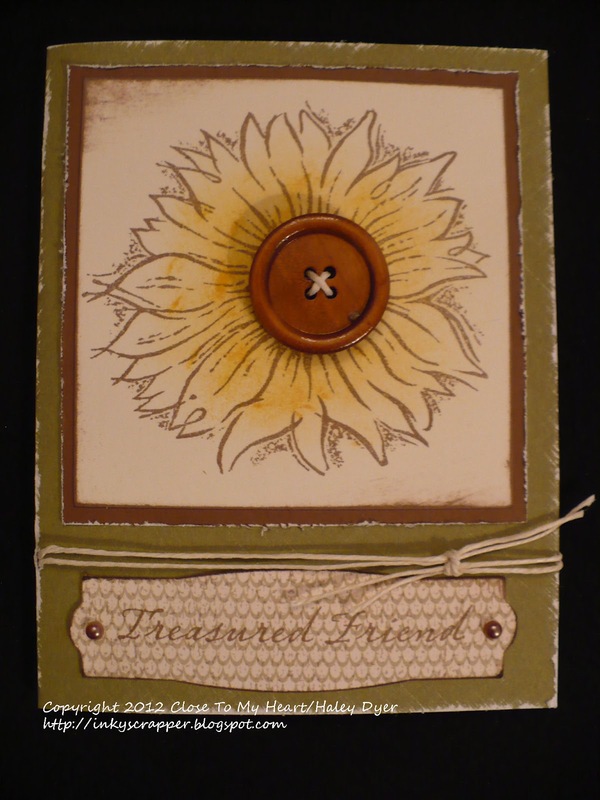 I finished off the card with a wooden button, some hemp, and two Mocha Opaques. Now, go check out what the other H2H designers have in store for you this week. You've got all month to play along with any of our May challenges, so get cracking and get crafty! 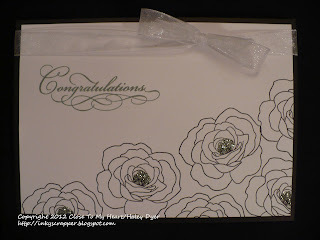 Today, my flower girl is getting married! This sweet little girl has grown into a beautiful young lady. We wish her the very best as she begins her new life with her handsome, kind groom. 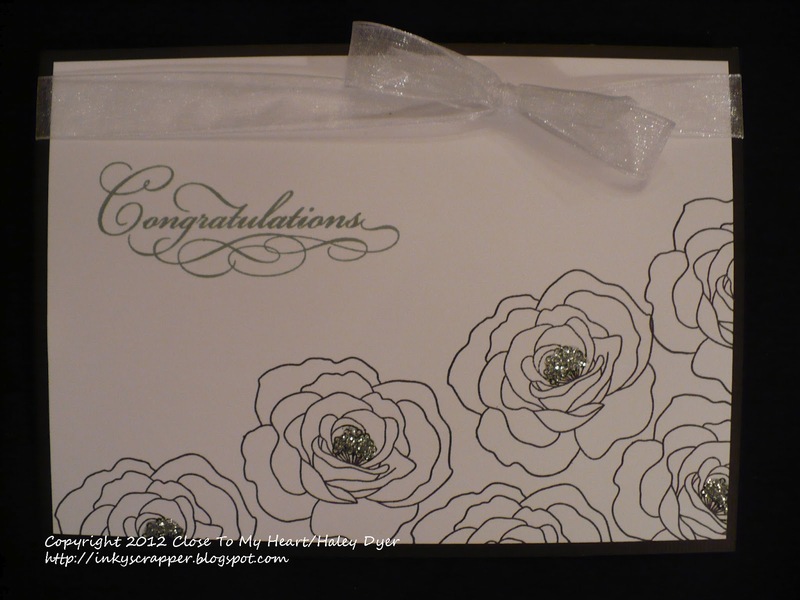 Here is the 5"x7" top fold card. 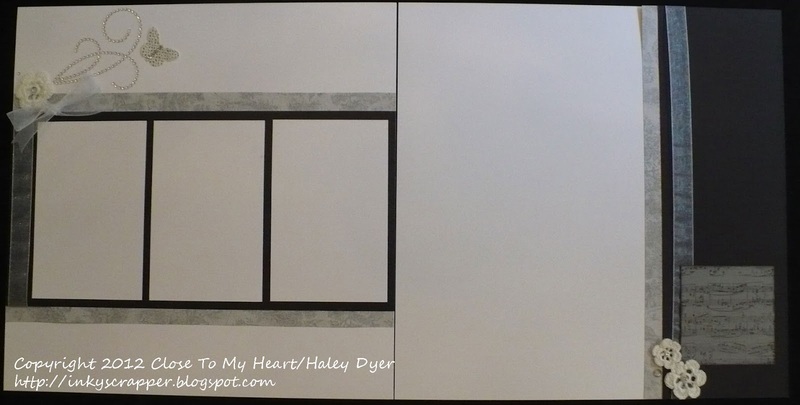 It's a white card base with a 5"x7" black panel and then the white panel. 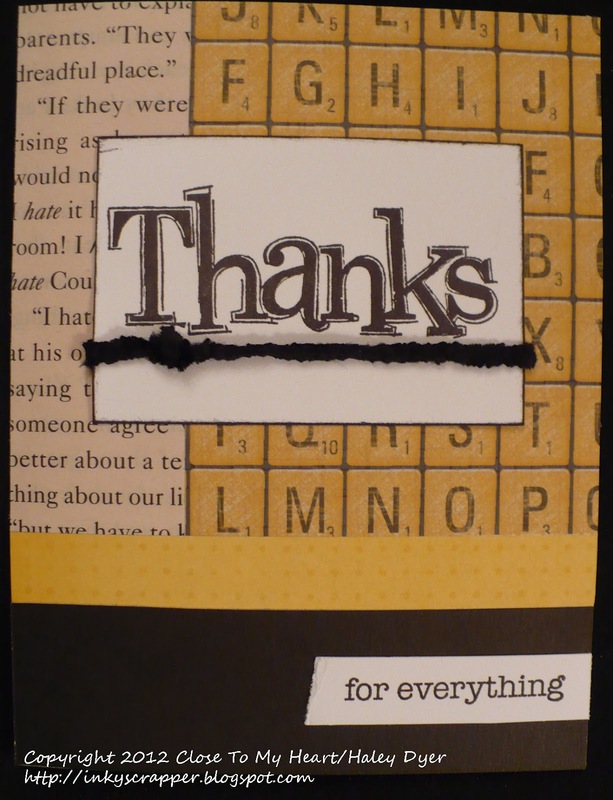 I used the Card Word Puzzle stamp set and a retired sentiment. 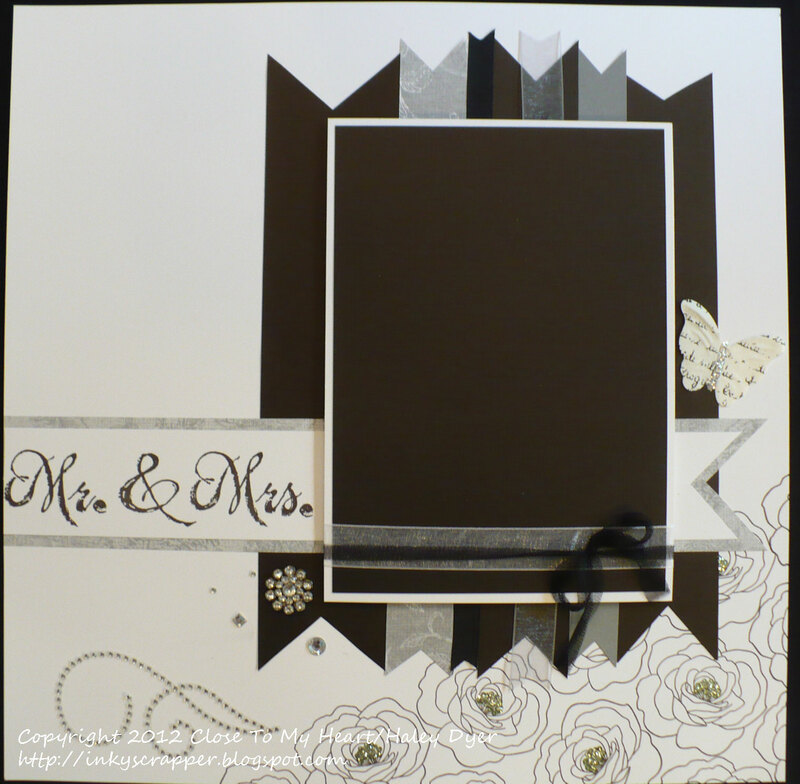 Best wishes to the Mr. & Mrs.! 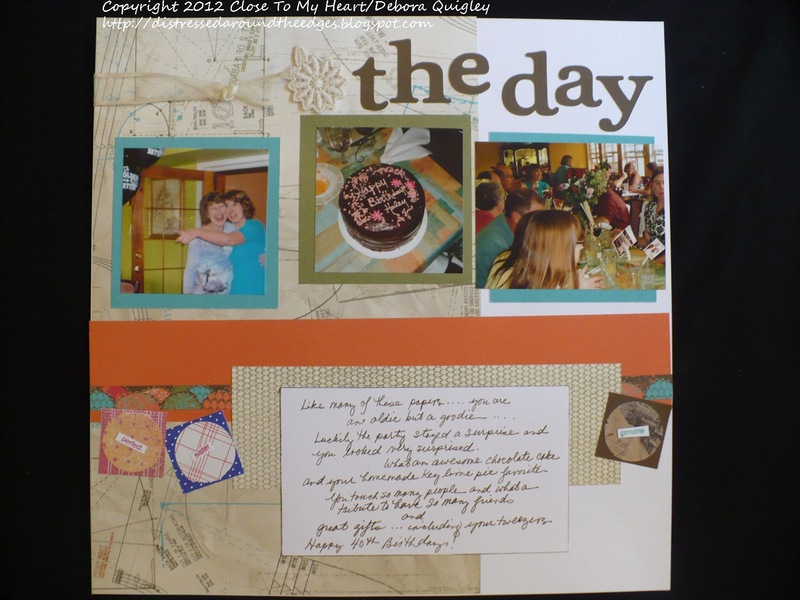 Here is the opening page of the scrapbook that I made them. 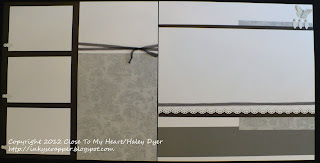 All of the pages are White Daisy and Black with Grey Wool patterned paper from the (retired) Bliss paper pack. 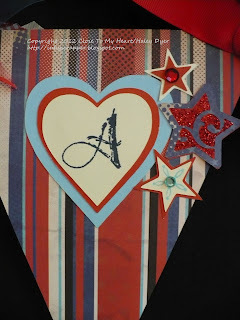 Everything is from Close To My Heart except the ribbon (scraps from my stash). All of the rest of the layouts are based on sketches from the "Reflections" how-to guide. 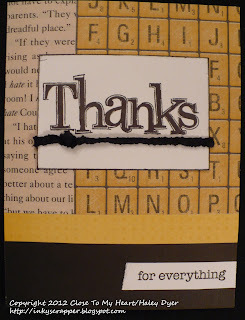 I used the Old World Alphabet and Card Word Puzzle stamp set. 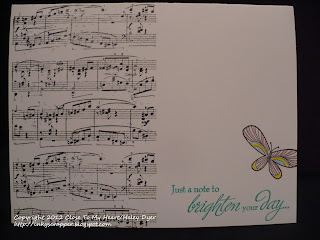 The music notes are from the Universal Backgrounds stamp set. 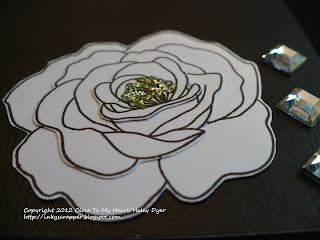 The bling flourishes are the beautiful Sparkles Flourishes. I used three roses to make this one by layering the centers taht I fussy cut. In addition to the album and these pages, I also gave them a pair of Studio J gift cards so that she can upload their photos and create her own layouts to fill up her album. Best wishes, Megan and Ralph! We love you! 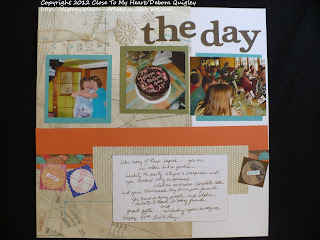 You cannot imagine my surprise and delight when I came home a few weeks ago to find this beautiful scrapbook layout- complete with pictures and all- waiting for me! 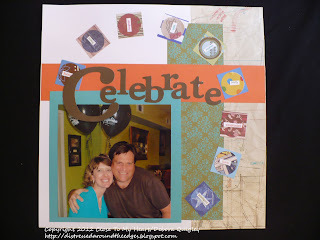 My dear friend and CTMH downline, Debora, made me this layout with a few of her photos from my surprise party. Isn't it lovely? 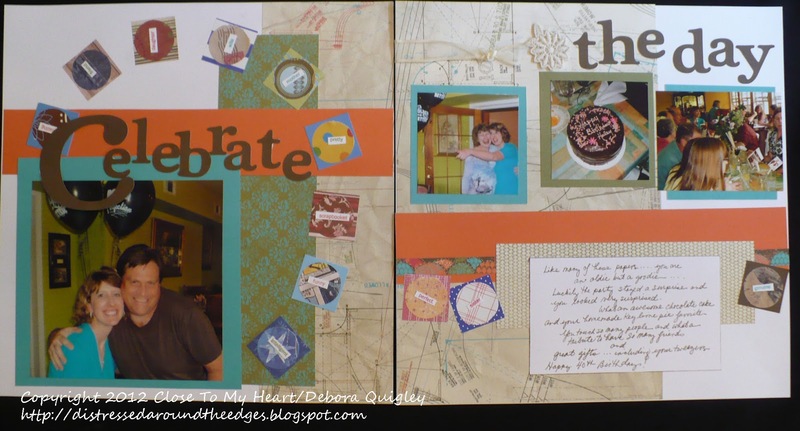 One thing I love about this "work of heart" is the old paper packs that circle the focal photo on the left and continue on to the right page. She wrote, "Like these papers, you are an oldie but goodie!" Thank you, Debora, from the bottom of my heart for my beautiful layout, but most especially for your friendship. You and your family mean so much to me and are such a blessing! 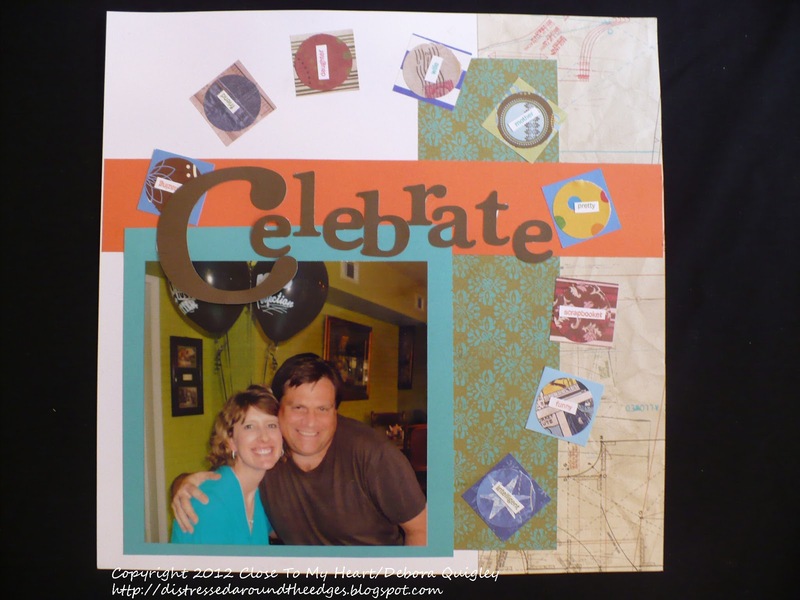 I'm so glad we started stamping and scrapping together. Can't attend? 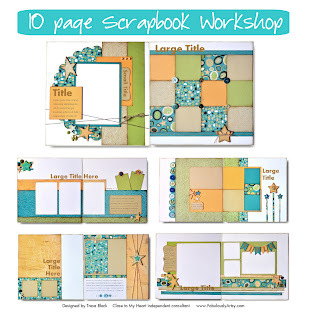 Ask me about a kit with complete instructions so that you can put this lovely scrapbook together at your own pace. 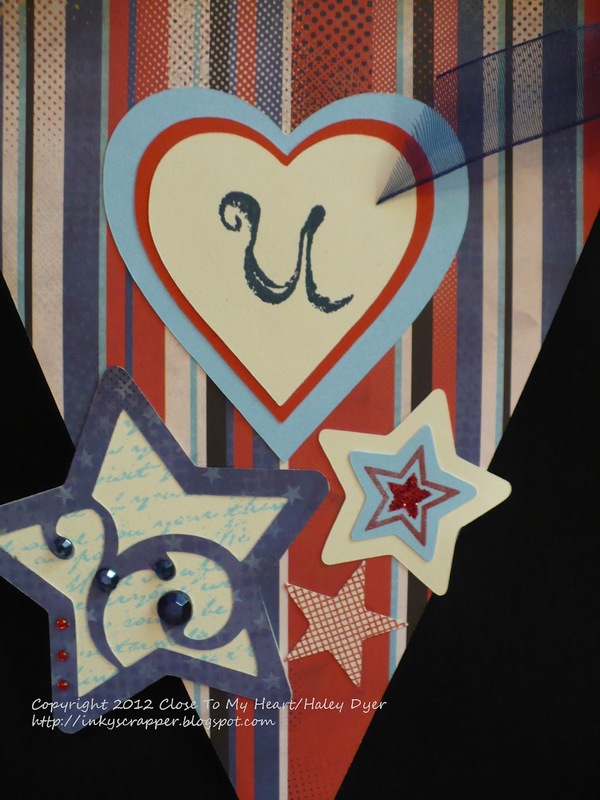 We can even customize your paper pack. I'll choose your coordinating embellishments. If you'd like to see how I made the necklace and bracelet, click HERE for a tutorial. 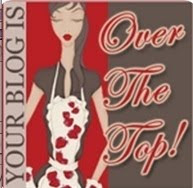 Now, hop on over to Luisa's blog! 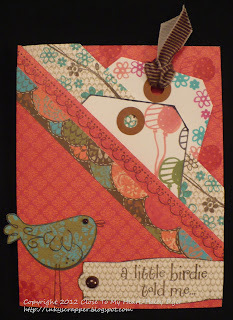 The current Less Is More challenge (week 67) is to make a one layer card using only 3 stamps. I love the clean and simple (CAS) style but really struggle with it. Mine always look so plain, but the examples I see are usually so beautiful. 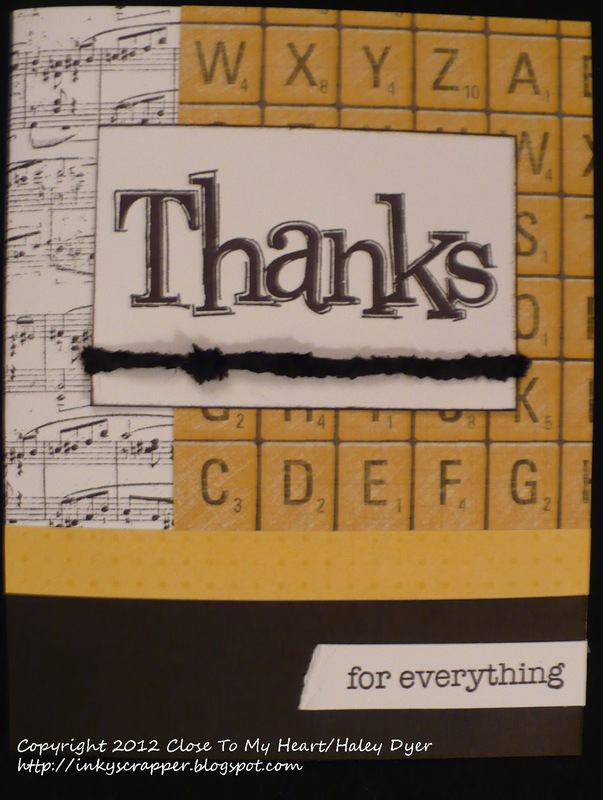 This card base already had the sentiment stamped on it, so I grabbed the music staff stamp and black ink that was still out on my table from another project (lots more on that later!). 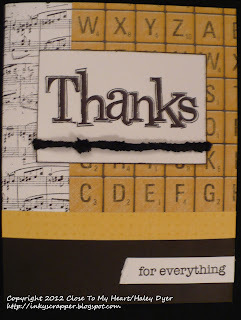 I thought it paired well with "Just a Note" (from the Card Chatter- Sympathy stamp set). I had to stamp it twice to cover the card completely from top to bottom. I'm not sure if my third stamp, the butterfly, really "goes" with this card, but it fits the 3rd stamp requirement and is pretty cheerful. ;) Coloring it with watercolor pencils (minus the water) really helped it pop and tie into the card at the same time. Thanks for sharing my CAS attempt. 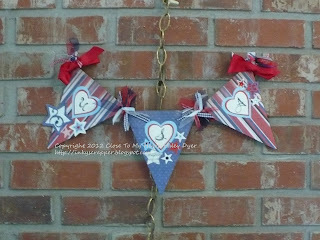 Check out all the beautiful creations at Less Is More if you like the CAS style too! Scrap Our Stash May Challenge: "Mother, May I?" 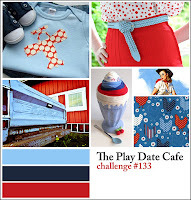 The May challenge as Scrap Our Stash is a play on the children's game, "Mother May I?" The challenge is to find inspiration from a crafter you admire and then ask MAY share your work (and interpretation of it) at SOS. Aaron Booth is a paper crafter who I really admire. 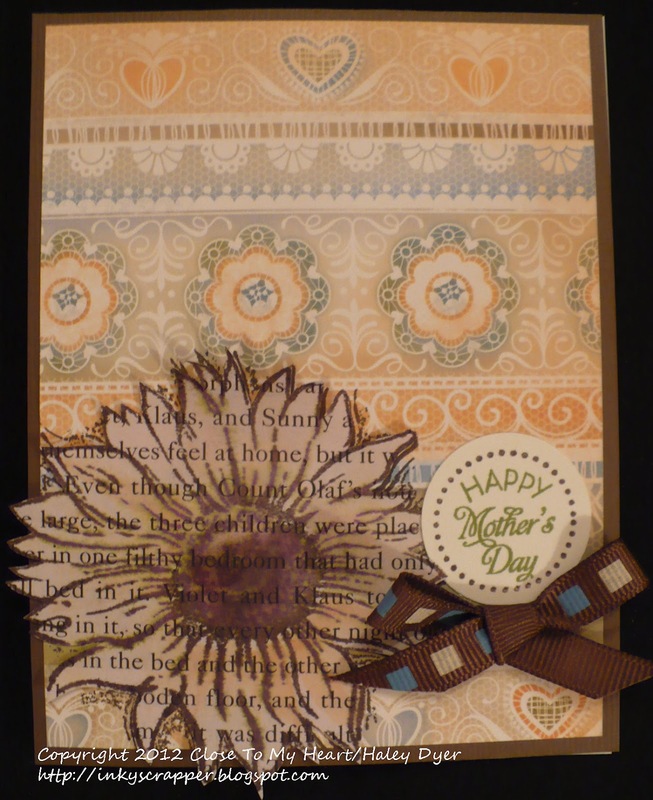 I totally CASEd her recent card I found on her blog (at right) to create my Mom's Mother's Day card. 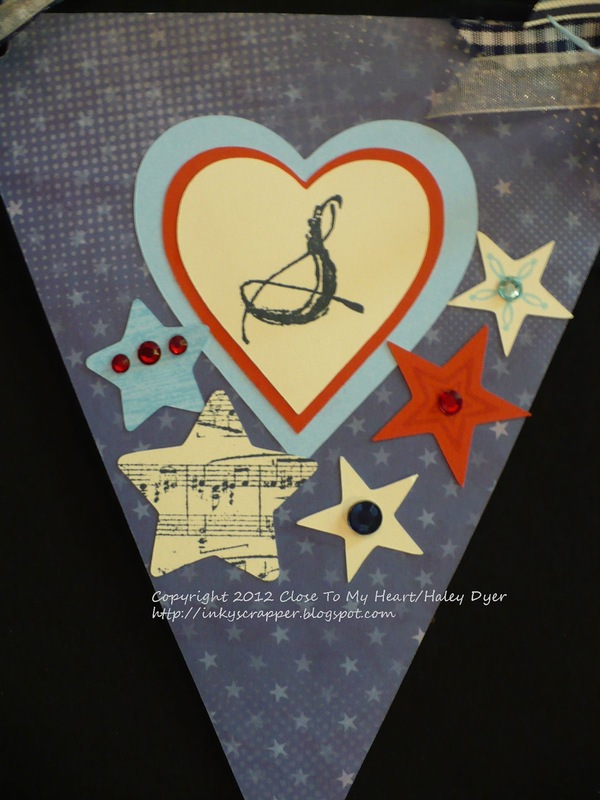 She used the beautiful Pemberley paper pack and wooden Garden shapes. 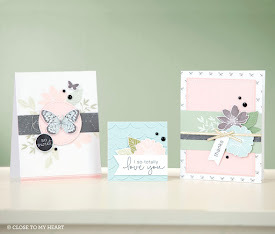 I used her card design but changed up the colors and elements a little bit with the Dotty for You paper pack and the Just Blooms Butterflies. I think this one is very fitting for my dear mother. 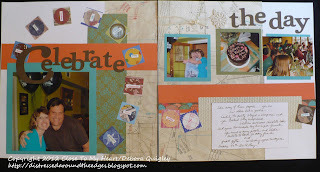 It's not too late for you to participate in the May Scrap Our Stash "May I?" challenge. Visit the SOS blog for complete submission details. All skill levels and supplies are welcome. 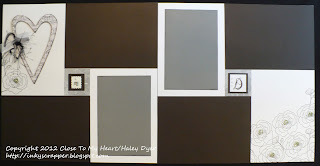 I'm also linking this up to the Heart 2 Heart Challenge blog for the current Mother's Day challenge. Happy Mother's Day to all the moms of the world! 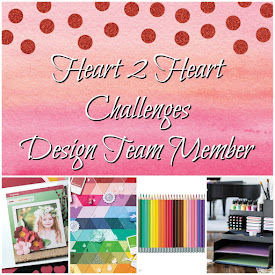 This first Heart 2 Heart challenge for May is to create a Mother's Day project. (You have all month to play.) 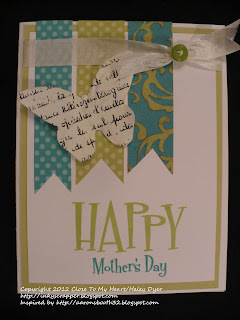 Be sure to visit the H2H blog for inspiration and to link up your own Mother's Day project. 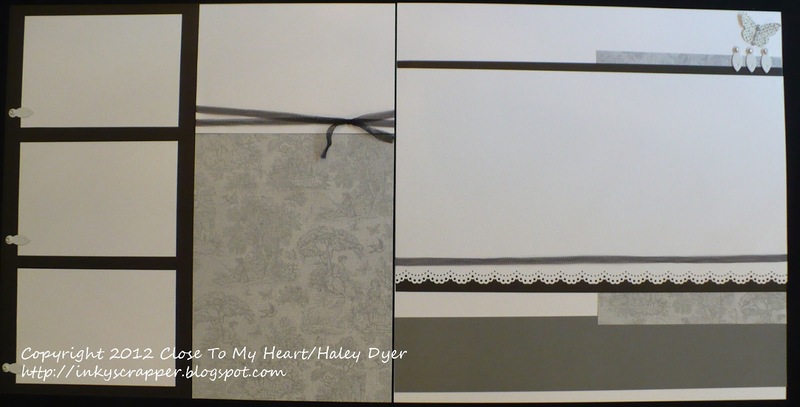 I created this card for my mother-in-law using the Florentine paper pack, the May stamp of the month, and the Tag the Occasion stamp set. 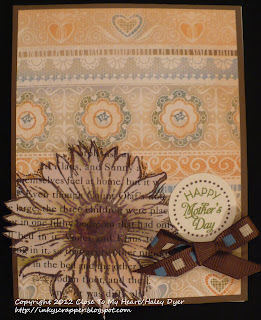 Since she's an avid reader, I stamped the large sunflower with Cocoa ink onto an old book page and again on my card front. (That way all the details outside of the sunflower itself still show on my card.) 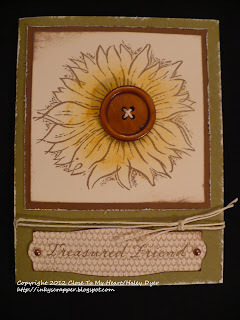 I cut out the sunflower and then watercolored it with Cocoa and Creme Brulee inks. 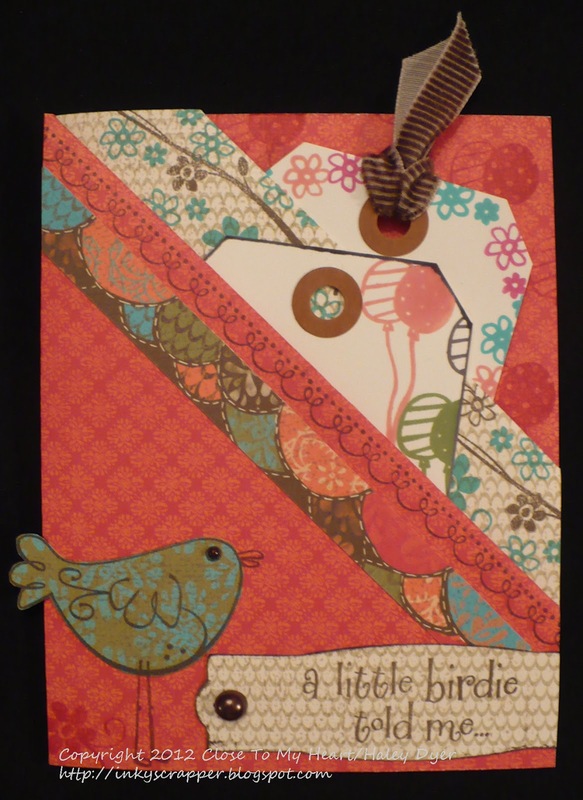 The ribbon and little tag completed this simple card front. Thanks for taking a look at this Mother's Day card. I've got another one to share later this week for my Mom too. 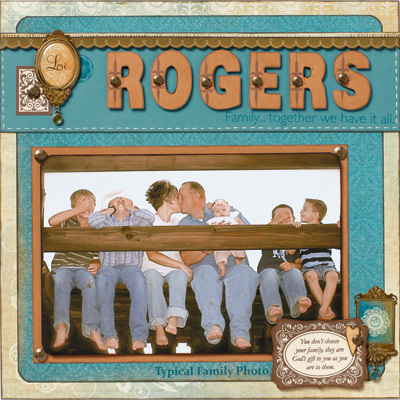 ;) Here's an early happy Mother's Day wish to all moms everywhere! You are loved and appreciated! Now go check out the H2H blog and get your project ready to link up! 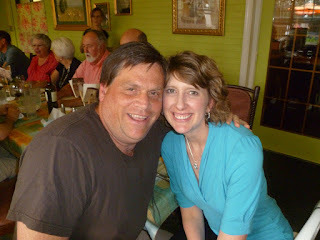 And a quick peek at my hubby and me at my SURPRISE birthday dinner! I am so blessed! Mom, wife, teacher, stamper, scrapbooker, independent Close To My Heart consultant, avid reader... If you like the contents, please leave a comment and/or consider purchasing your supplies from me. If I inspire you, please give credit where credit is due. Thanks! 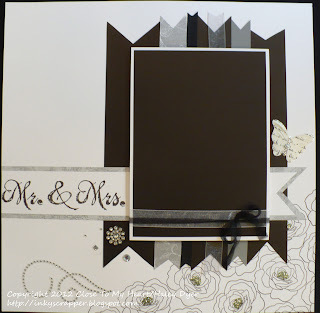 You can contact me at inkyscrapper@gmail.com. Stop by and give us a try! We post a new challenge every Monday. 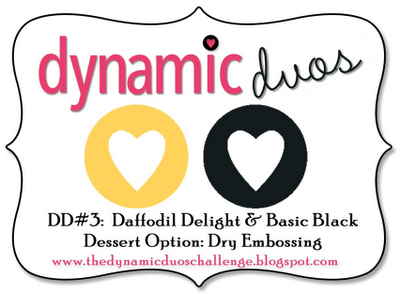 Challenge Blogs: Try Something New! Thank you! 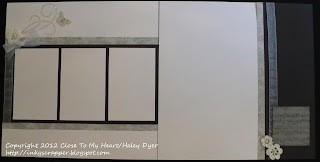 See my post on 2/26/15. 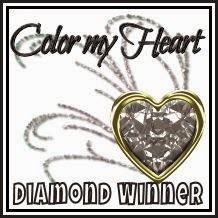 Color My Heart Color Dare Diamond 11/29/13 and 1/18/15! Thank you! See my post on 4/18/11. Thank you! See my post on 2/15/11 and 7/28/11! 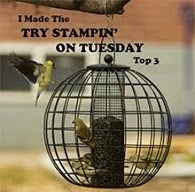 "Top Trio" Card of the Week: See my posts on 6/28 & 1/20/10! Thank you! See my post on 8/1 & 7/3/10.